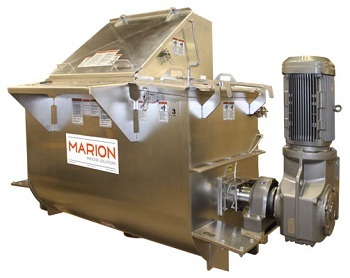 Marion Process Solutions is the industry leader in the design and manufacture of custom industrial mixing equipment. With product in over 70 countries serving hundreds of global Fortune 1000 companies, the Marion Process Solutions brand is known as the standard of excellence in the food, plastics, chemical, mineral, and biomass markets. And as the only 3-A Certified manufacturer of commercial mixing equipment in the world, Marion Process Solutions offers an exceptional experience in sanitary applications - and peace of mind. Simply put, 3-A Certification is the only 3-A standard – accept no imitations. 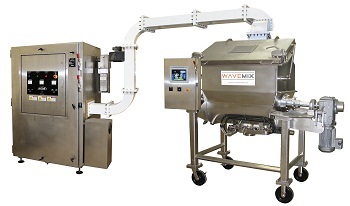 The new wave in industrial mixing, heating, and drying is now available with WaveMix. This revolutionary system uses microwaves to generate heat directly in a product, allowing for rapid temperature increase and more accurate temperature control. No hot spots. No long waits. In short, no worries.